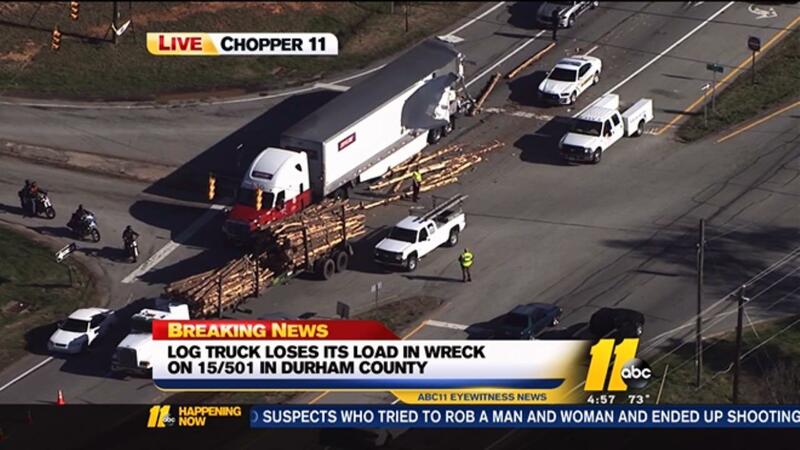 DURHAM COUNTY, N.C. (WTVD) -- A logging truck lost part of its load during wreck on U.S. Highway 501 in Durham County. It happened around 4:30 p.m. Tuesday at the intersection with Bahama Road. Video from Chopper 11 HD showed the logging truck and a semi-truck were involved.